Remember (war of the son) is a South Korean TV drama series with leading character Seo Jin woo. It was on air on December 9, 2015 and end on February 18, 2016. It consists of 20 episodes on screen every Thursday and Wednesday at 9: 55 pm. 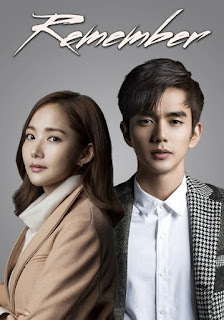 Yoo seung-ho, park sung woong, park min young, namkoong min and Jung hye sung were casted in this TV drama series. This drama series was written by yoon hyun-ho. It was a melodrama and thriller genre movie. Villain of this series did an outstanding performance and won an excellence award in 5th APAN star awards. Seo Jin woo was the hero of series. He was dropped out of his high school and in his childhood he lost his mother and brother in a car accident. He lived with his father. Seo Jin woo suffered from hyperthymesia (a condition in which person can recall his past memory perfectly and accurately without any hesitation). He remember his past perfectly. His father in series named Seo Jae hyuk was totally opposite to him because he was suffering from Alzheimer disease in which person forget about things and sometimes lost his past memory. In this drama series SeoJae hyuk was convicted wrongfully to attempt murderof a female college student and cops arrested him. Then his son fight for him. Seo Jin woo with his extra ordinary memory become a lawyer after 4 years and collect every fact with witness and proof. Then he reopened his father’s case and fight for his innocence. He tries his best to free his father but bribery, corruption and betrayals hinders him on his way to justice. His super memory helped him a lot in solving his father’s case and at last he become successful in making his father free. Remember is totally about effort of hero to free his father that’s why it is named as remember war of the son. There are many other maincharacters who assist him in series. Park dong ho was a famous lawyer with hundred percent success he helped Seo Jin woo by heart but not professionally because he signed a contract under an elitecompany named “ll ho” he also revealed that accident happened 2 years back was the same in which Jin’s father lost his memory. Lee in ah was casted as heroine of remember TV drama series. She was the only who believed Seo Jin woo. She was prosecute by profession and helped him a lot. Nam gyu man was real criminal in series who murdered victim. Jung hye sung was another main character in remember as a friend of lee in ah and sister of Nam gyu man. Other than these characters, there were many supporting characters in this series. This film was especially casted to describe hyperthymesia or Hyperthymestic syndrome. This TV drama series explain hyperthymesia in detail and aware people about it. This series also won award in 5th APAN star awards.